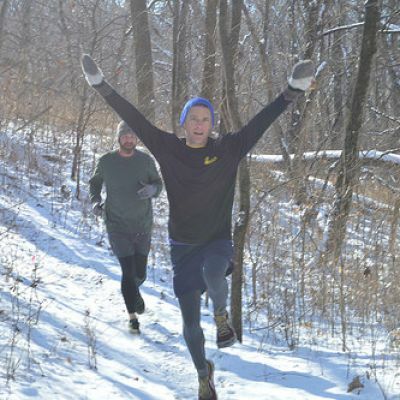 We put the final touches on the Hawk 50-Mile & Marathon Trail Runs course yesterday. The marathon course measures 26.8 miles, and the 50-Mile, is right at 50 miles. We'll mark the course with hot pink (a color not found in nature) flags and ribbons, and supplement those with signs and volunteers. The trails are already fairly well-marked with paint blazes in red, white and blue, and for the most part, the course will follow them. All runners will complete the 26.8-mile marathon course, then 50-milers will continue for a second, but shorter 23.2-mile lap. Here's how it works. The races begin (and finish) by Shelter 2. there's a brief run across the lawn to the trail head, by the start/finish aid station. Runners head west on the white-blazed trail about 6 miles to the Lands End aid station. Continue on the white trail about 5 more miles to the West Park Road Aid Station. There, you'll leave the trails for a 1.1-mile out & back to nearby Bunker Hill, so named because there's an actual bunker, which you'll see, built into it. On the hill, you'll run the ridge, with pretty park views on either side, and round the wooden park bench to head back to the West Park Road aid station. IMPORTANT: There will be a secret "code phrase" on the park bench that you must read and commit to memory. Don't worry, it'll be easy. When you return to the West Park Road aid station, you must speak the phrase to the volunteer checking people in and out. 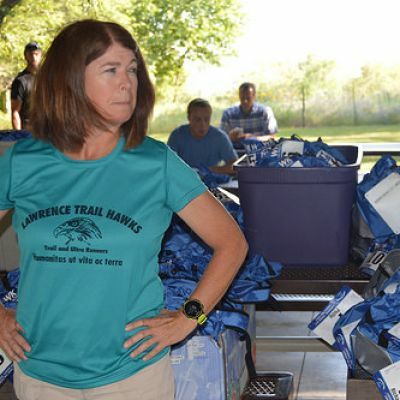 This will help the aid station to differentiate between incoming and outgoing runners, which can be pretty confusing. From the West Park Road aid station, you'll cross West Park Road and continue on the white-blazed trail to its terminus on Cactus Ridge. There are some actual cacti. Where the white blazes end, the blue blazes begin, and you'll follow them East for about 2 more miles to the Swim Beach aid station on the sandy shores of Clinton Lake. This is one of several places you can jump in the water for a cooling dip if you're so inclined. From Swim Beach, continue on the blue-blazed trail to its intersection with the red-blazed shoreline trail. This trail goes about a mile along a highly technical (rocks) section of lake front. At the red-blazed trail's end, you'll rejoin the blue-blazed trail for a short uphill into the Lands End Aid Station. From there, continuing on the blue-blazed trail, you go about 3.3 miles, then suddenly drop south for another 1.1-mile out and back, this time to Sanders Mound, another hill overlooking the lake. Returning to the blue-blazed trail, it's a short scramble to the start/finish aid station, where the blue-blazed trail meets the white-blazed trail. But wait, you're not done with the marathon course. 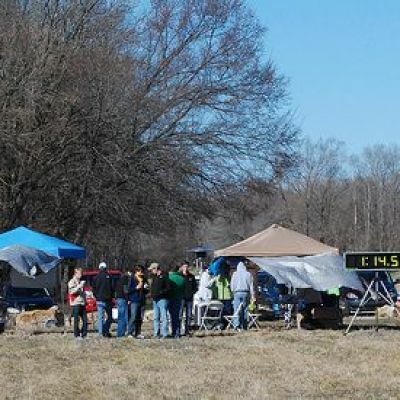 The start/finish aid station is 23.2 miles into the race. So continue West 2.1 miles on the white-blazed trail to Marina Road. There, you cross over to the blue trail, just a few feet away. We plan to have a volunteer on station there to make sure you don't miss. 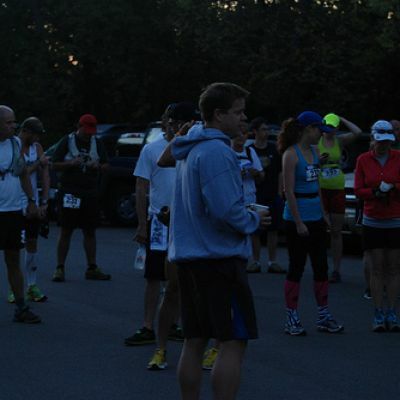 Then, head back east on blue to the start/finish aid station, 26.8 miles. Marathoners reach the start/finish aid station, then run up the lawn to the finish line at Shelter 2, where the race started. 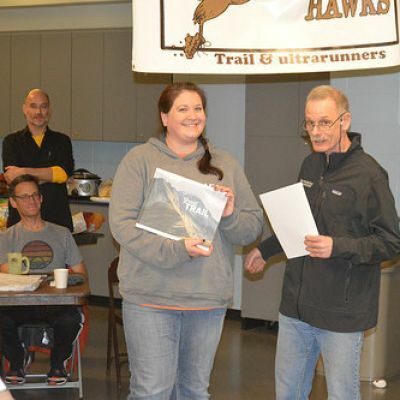 There, Co-RD Coleen "Lil Big Hawk" Voeks and/or myself will make a big fuss, give your finisher's award and demand that you eat something right away. The cookout should be going strong by then. 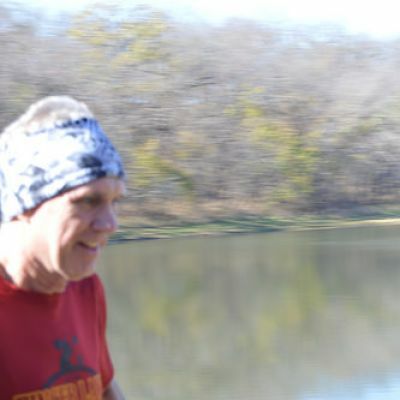 50-milers will NOT go up on the lawn to the finish -- instead, they will continue on the white-blazed trail for another full 23.2 mile lap, complete with Bunker Hill, Cactus Ridge, the Red Trail and Sanders Mound. THEN you get to do the finisher's lawn-run to the adoring crowd and finisher's award and cookout waiting for you. As course-designer Nick "Colo Hawk" Lang puts it -- Marathoners will do a big loop and a little loop. 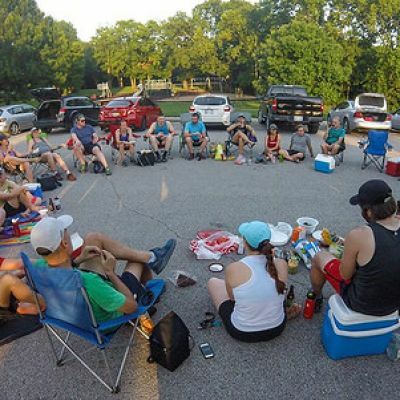 50-milers will do a big loop, a little loop, and another big loop.